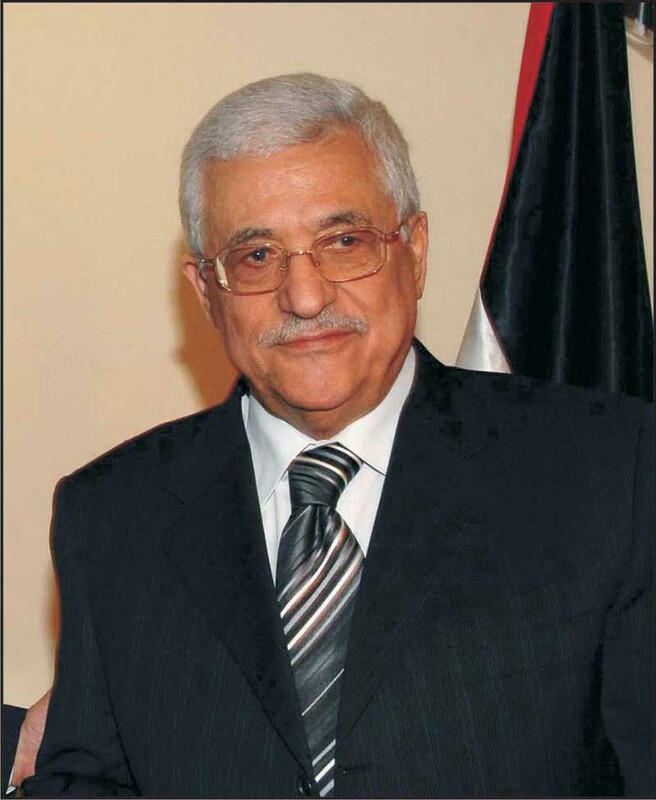 PA�s President, Mahmoud (Abu-Maazen) Abbas. Accusing Israel of having disseminate drugs among thousands of Palestinian youth. Laila Ghannam emphasized that the Israeli occupation does not hesitate to exercise all forms of control over our youth, using dirty and inhuman methods" (PA official daily, Al-Hayat Al-Jadida, June 27, 2012). Palestinian Authority�s social worker Sonia Diba said that, "residents of Jerusalem are falling victim to drugs, because (Israel) distributes huge quantities of them, in addition to the increasing unemployment and the lack of centers and institutions in Jerusalem to absorb the children and adolescent youth, causing them to turn to drugs, which are distributed with the aid of the occupation and its branches" (Al-Hayat Al-Jadida, June 27, 2012). Jericho and Jordan Valley District Governor, Majed Al-Fatiani, said in his opening address to a seminar on drug abuse that "the Israeli occupation is encouraging and turning a blind eye to [drug] dealers and their efforts to distribute drugs, through a systematic policy to destroy Palestinian society, targeting the youth" (Al-Hayat Al-Jadida, June 27, 2012). Also, the Jenin District Governor, Talal Dweikat, said at an event marking the opening of the International Week against Drug Abuse, under the slogan, 'Yes to life, no to drugs,' that "it is important to unify the efforts of the official and popular institutions in order to deal with this plague, which is dangerous for our society, especially since the Israeli occupation is not satisfied with the military occupation of Palestinian land, but also seeks to harm the Palestinian people and to destroy it and its national enterprise, as a continuation of its Zionist enterprise" (Al-Hayat Al-Jadida, June 27, 2012, all translations in 'PA: Israel spreads drugs to destroy Palestinian society,' PMW bulletin, July 1, 2012). PA TV host: "Artist Abd Al-Hai Msallam has been dealing with the Palestinian nation's problems such as the Gaza massacres. What have you been working on lately?" Artist Abd Al-Hai Msallam: "This painting is about the Gaza massacre. Here I show the people, the kids, and the Zionist enemy's cruelty and savagery." 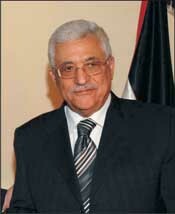 (PA TV (Fatah), July 13, 2012, translation in 'Israel is monster that eats Palestinian children, in Palestinian art on PA TV,' PMW bulletin, July 23, 2012). On July 16, the PA, which has in the past named public squares, a computer center, tournaments and numerous events in honor of the Jew-killing terrorist, Dalal Mughrabi, published in its official daily newspaper an article praising the dead terrorist. Mughrabi led the 1978 Fatah terrorist attack on an Israeli civilian bus, leading to the coastal road massacre, in which 37 Israeli civilians, including a dozen children, were murdered. In a report on the recent summer camp named in Mughrabi's honor, titled, 'Sisters of Dalal,' the Governor of the Jericho district, Majed Al-Fatiani, was recorded to have said "that it is our national obligation to be faithful to those before us who gave and sacrificed for Palestine, and they should be a beacon for us in our activities and in guarding the achievements and capabilities of our people. This was said during a meeting at the Jericho district headquarters with the young women participating in the "Sisters of Dalal Mughrabi" summer camp from the Qalqilya district ... The director of the summer camp, Lana Nazzal, stated that the summer camp is organized by the Fatah movement, with the cooperation of the Women's Association of Qalqilya and the Farmer's Association, and that the camp is meant for youth between the ages of 16-30." (PA daily Al-Hayat Al-Jadida, July 16, 2012, translation in 'Fatah summer camp named after female terrorist Mughrabi, who led killing of 37 in bus hijacking,' PMW bulletin, July 17, 2012). About the ZOA: The Zionist Organization of America (ZOA) is the oldest and one of the largest pro-Israel organizations in the United States. US-Israel relations through educational activities, public affairs programs and our work on Capitol Hill, and to combat anti-Semitism and anti-Israel bias in the media, in textbooks, in schools and on college campuses. Under the leadership of such presidents as Supreme Court Justice Louis Brandeis, Rabbis Abba Hillel Silver and Stephen Wise, and current President Morton A. Klein, the ZOA has been - and continues to be - on the front lines of Jewish activism. www.zoa.org.